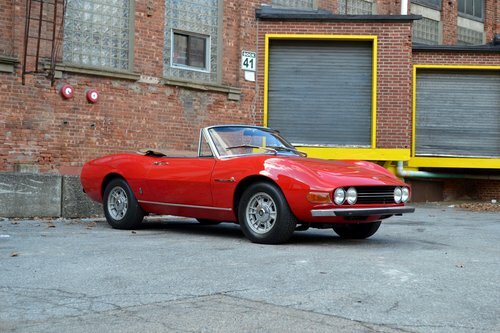 Enjoyed for many years in a Texas collection, this '68 Series I Dino Spider received a comprehensive restoration at World Motors in Austin during the early '90s. 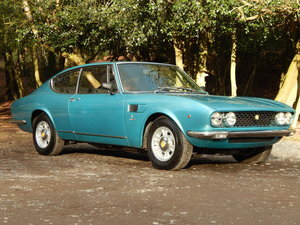 Originally fitted with the early-spec 2.0L six, the car underwent a rare upgrade to the desirable 2.4 engine (also shared by the 246 Dino and Lancia Stratos).  By the early 2000s the Dino moved north to Sellersville, Pennsylvania, before eventually making its way to New York. 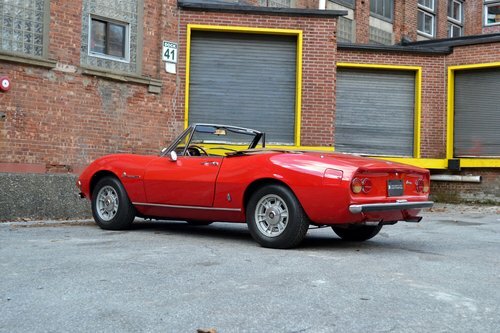 Now owned by a major collector in the area, this car was the result of his long-running search to find an excellent Dino Spider. 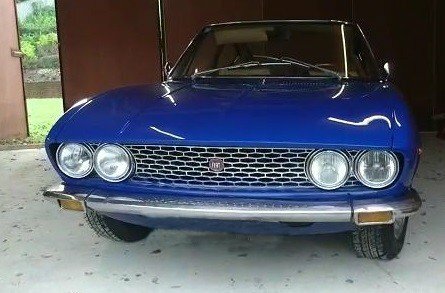 The car's restoration has held up well, especially the glossy Rosso paint. Done to a high standard and kept meticulously ever since, it enhances the body's signature curves and hints at the sporting nature of the Ferrari six behind the scenes. Some minor wear can be found underneath the front lip, as well as a small crack beginning to form on the sill corner just behind the front left wheel. 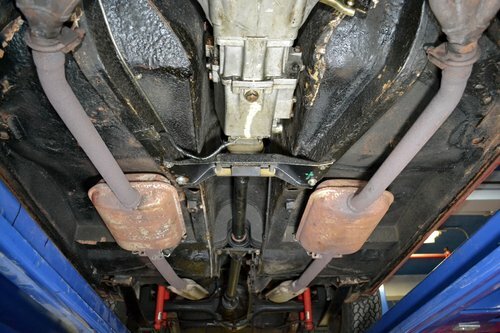 The underside appears solid and showcases well-maintained brakes and suspension, however it is due for some touching-up and sealing especially before using the car in weather. That said, the original exhaust appears to be intact, which speaks to generally dry conditions throughout its life. Brightwork and glass are in wonderful shape, as is the matching tan convertible top complete with a beautiful, clear rear window. All four Cromodora wheels present well with good paint and caps, and wear period-correct Michelin XWX tires. 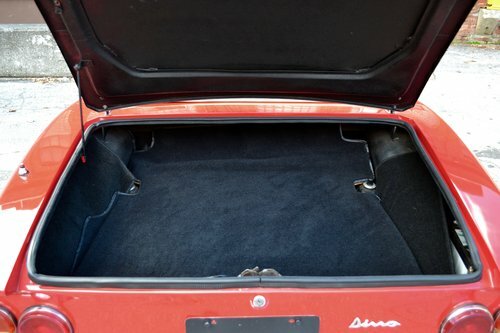 Out back, the trunk features a matching spare and excellent carpeting. 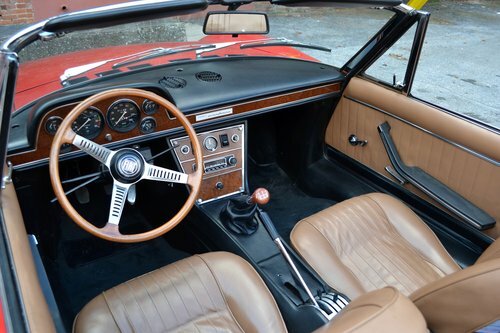 Inside, the Dino's cabin delights with its tan upholstery and wood dash. All seats remain free of tears or sagging, while the door cards and carpet are similiarly unaffected by age. Ahead, the stunning wood-rimmed wheel and Veglia gauges steal the show, while the correct radio and clock are similarly striking on the center console. There are very few defects in here to note: only a small crack on the dashtop behind the binnacle and a tachometer that reads slightly high. 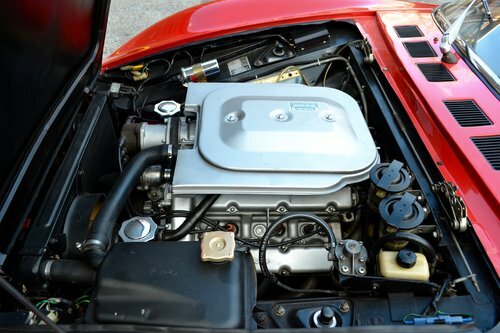 The Dino is in turn-key condition thanks to an extensive mechanical freshening at Dominick's several years ago. Thousands were spent on new tires, shocks, clutch, and a valve adjustment/other tuning. Start-up is easy and quick, followed by an assured idle and smooth acceleration. The dogleg five-speed delivers as well, its heavy, short action befitting a late '60s grand tourer. Strong brakes complete the experience, though above all there is no denying that the best part is the howl of the 2.4, especially with the top down.